The first thing you need to do when you or your recipient receives the flowers is to find a suitable clean vase to place them in. The flowers will arrive aqua-packed for freshness. Although you can leave your bouquet this way and simply top up with water when required, we do highly recommend that they are removed from their wrapping and placed in a clean vase. This will help prolong the vase life of your flowers. When you have found your vase, you need to add fresh water. Do not use ice cold water, as it is best to use water at room temperature. Special Flower Food is provided with your Hand-tied. This is usually found in the cellophane pouch with the message card. This food contains nutrients that will prolong the vase life of your flowers. Empty the sachet of flower food into the clean water. Next you should remove the gift wrapping and drain away the water. Remember to do this over a sink to avoid spillages. The flowers will be held together with string tied around the stems which holds the flowers in place. The string can be removed which will create a looser style in your vase. Lay the flowers down on the side board or sink and cut approximately 3cm off the ends of the stems, ensuring you make the incision at a 45-degree angle with a sharp pair of scissors or a knife. This is to remove a layer that has covered the tips of the flowers which make it harder for the flowers to drink the water. 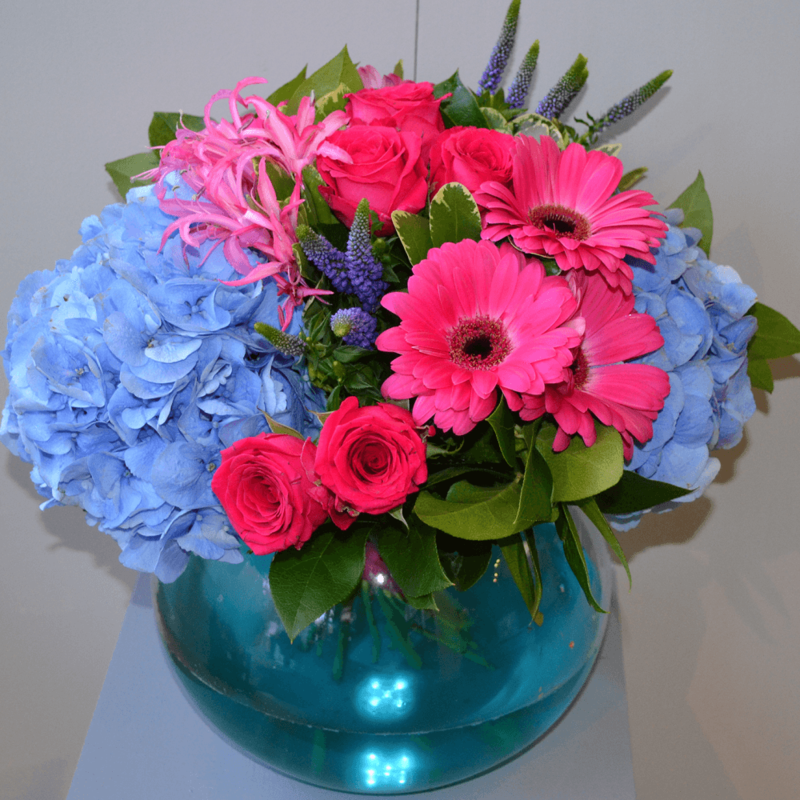 In this process it is advisable to place your flowers in water very soon after you have cut the stems. Ensure that you remove leaves that would be below the water line. Always keep your flowers away from fruit, radiators, bright light and drafts. Remember to take care of your flowers. Bacteria can quickly formulate in the water which is harmful to your flowers, so every other day pour away the old water and use fresh clean water. Recut the stems before you return the flowers to the fresh water. We hope you enjoy your aqua packed hand-tied bouquet created by Lambert’s Flower Company! The flowers will arrive hand-tied and ready to be placed into a vase upon receipt. Special Flower Food is provided with your Hand-tied. This is usually found in the cellophane pouch with the message card which is tied around your bouquet. This food contains nutrients that will prolong the vase life of your flowers. Empty the sachet of flower food into the clean water. Next you should remove the gift wrapping. The flowers will be held together with string tied around the stems which holds the flowers in place. The string can be removed which will create a looser style in your vase. 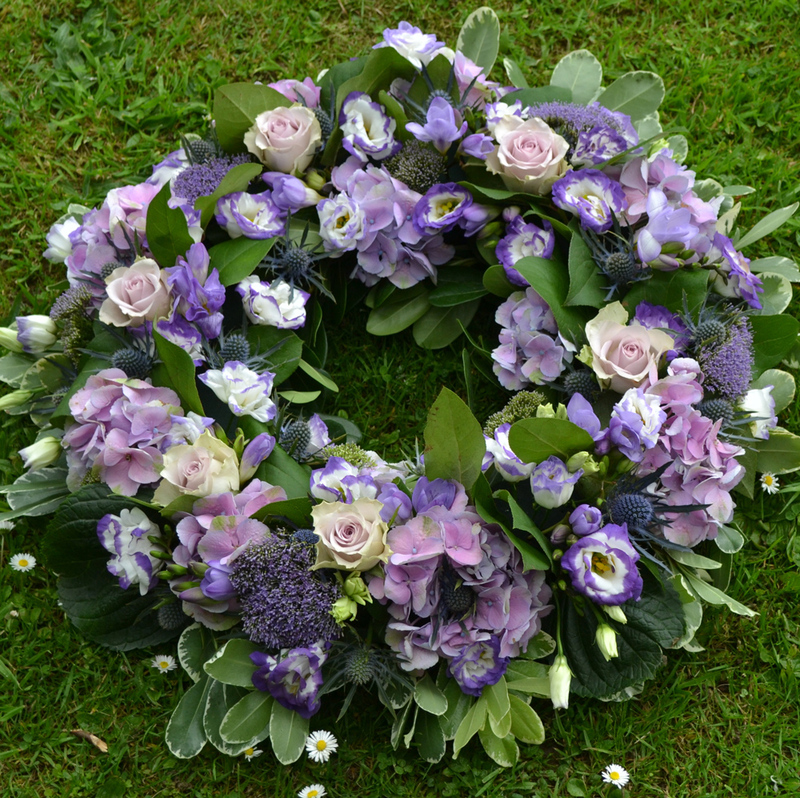 In this process it is advisable to place your flowers in water very soon after you have cut the stems, as the cut stems will begin to heal over out of water, and then will be less able to absorb the water when submerged. Ensure you remove leaves that would be below the water line. Remember to take care of your flowers. Bacteria quickly formulates in the water; which is harmful to your flowers, so every other day pour away the old water and use fresh clean water. Recut the stems before you return the flowers to their water. 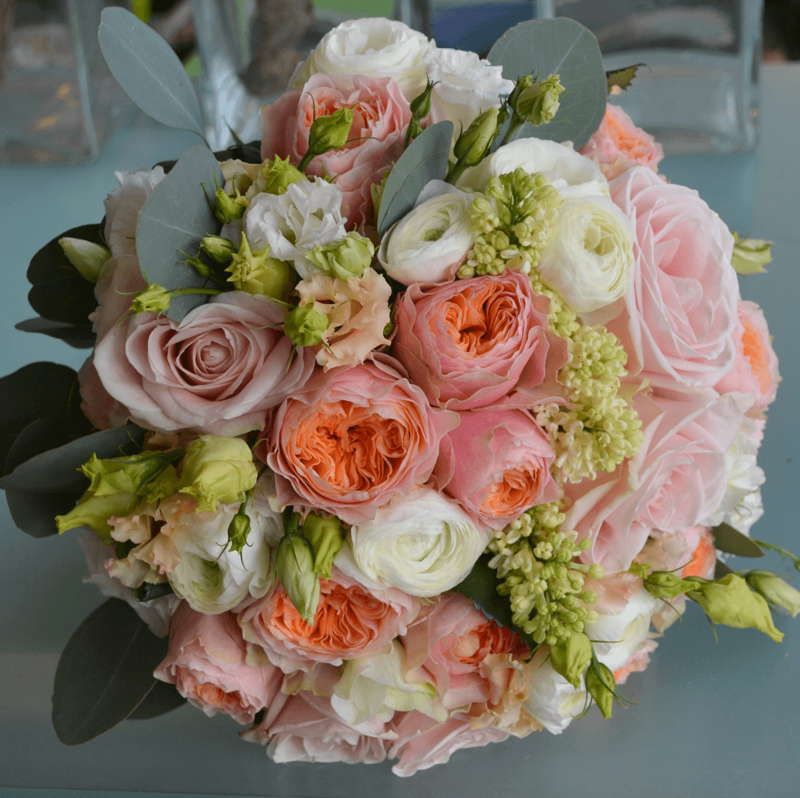 We hope you enjoy your hand-tied bouquet created by Lambert’s Flower Company! A vase arrangement should have the water changed every 3 days and the stems can be given a fresh cut. Take the flowers out of the vase and lay them down on the side board or sink and cut approximately 3cm off the ends of the stems, ensuring you make the incision at a 45-degree angle with a sharp pair of scissors or a knife. This is to remove a layer that has covered the tips of the flowers which make it harder for the flowers to drink the water. 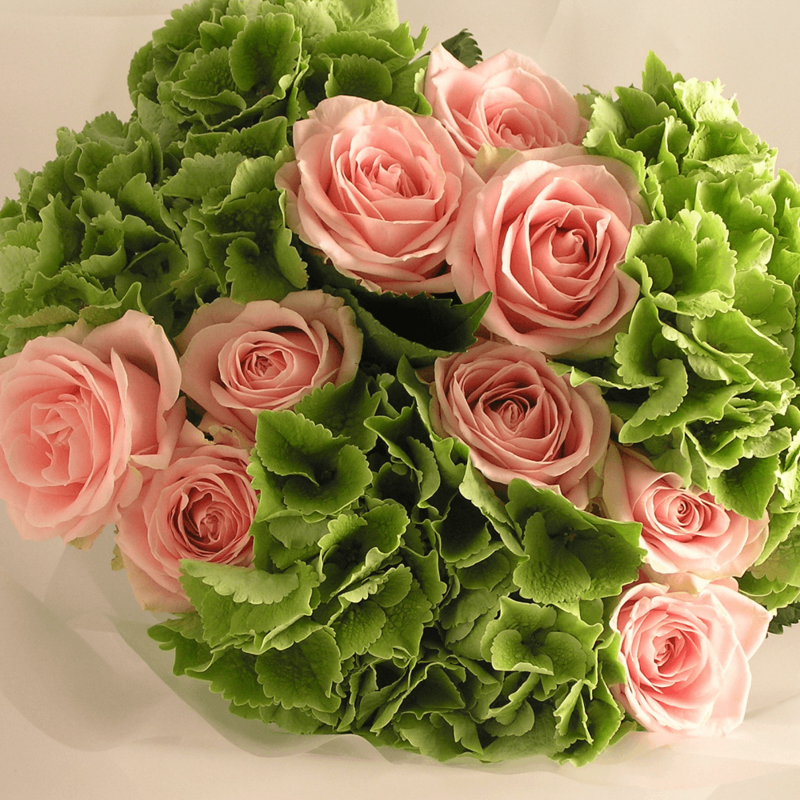 Special Flower Food is provided with your vase arrangement. This is usually found in the cellophane pouch with your message card. This food contains nutrients that will prolong the vase life of your flowers. Empty the sachet of flower food into the clean water.Always keep your flowers away from fruit, radiators, bright light and drafts. We hope you enjoy your Vase Arrangement created by Lambert’s Flower Company! Your arrangement whether in a glass, ceramic or basket container is created in floral foam and needs to have fresh water added to it daily. You can check the water level by placing your finger down the inside of the container. It is advised that you fill the container at a sink, dry the bottom and do not place on a wooden table top without a protective mat. We hope you enjoy your arrangement created by Lambert’s Flower Company! Need help or advice on how to care for your House Plant? With proper care, you can enjoy the splendid flowers of your Phalaenopsis for a long time, over 3 months. And did you know that when your Phalaenopsis has stopped flowering, it can be encouraged to flower again after a break of 6 months to recover? We have put together a number of tips to help you enjoy your flowering Phalaenopsis for as long as possible. These tips will also tell you how to stimulate your orchid to flower several times. Phalaenopsis grows best at a minimum night temperature of 16°C and a maximum day temperature of 24°C. The ideal day temperature lies between 20 and 22°C. This orchid requires a lot of light but does not tolerate direct sunlight, and certainly not in the summer months. An ideal spot is on a north- or northeast-facing or south- or southeast-facing windowsill. Leaves turning yellow can be a sign of too much direct sunlight. If buds fall off or the leaves turn dark green, the plant may not be getting enough light. Water the soil in the pot rather than directly on the plant. Rainwater is better than tap water containing a lot of calcium. It is preferable to water early in the day. It is even better to soak the pot in a bucket of water for 5 to 10 minutes. Then your orchid can go without water for the next 7 days. In its natural habitat, Phalaenopsis is exposed to high humidity. So if you want to cultivate or propagate the plant, it is best to choose a humid location, like the kitchen, bathroom or conservatory. It is important for Phalaenopsis to be rooted in well-ventilated soil that allows moisture-retaining drainage. Special orchid potting soil is available at most garden centres and is ideal for this purpose. It is better than using normal potting soil. Because the well-ventilated orchid potting soil does not contain much plant food, it is best to add liquid fertiliser to the water for Phalaenopsis. Special orchid fertiliser is available and should be applied twice a month from March through October. Once a Phalaenopsis has finished flowering, you can encourage it to flower again by cutting off the spike above the second ‘eye’. By ‘eye’ we mean the thickened node on the spike. Start counting from the bottom. If the Phalaenopsis produces air roots that grow outside the pot, this is a sign that the orchid is healthy. Just leave the roots alone. You don’t have to push them back in the pot. You may even damage them by doing so.